I finally didn't procrastinate the GDT! NO TEXT FOR YOU CHARGERS! TOO LAZY!!!!! Still think Jerry using the force to tackle Mcgahee is awesome. <3 the graphics and gifs. As far as the game goes, I think this game will be a nice test for the Falcons. Having to travel across the country to face a playoff-caliber team is always a good indicator of just how good a team really is. I predict SD will give them their a good game, but I foresee a win for the good guys. Ryan and Rivers battle it out, but the defense forces a couple of turnovers. 37-31, Atlanta. Im excited about this game. Two teams with great starts to the season, lets see who has the endurance. Falcons are 5-0 under Mike Smith when playing on the West Coast. Coincidence? Or, is there good reasoning for that? I'm personally not sure.. Falcons are 5-0 under Mike Smith when playing on the West Coast. Coincidence? Or, is there good reasoning for that? I'm personally not sure..
Not sure its coincidence so much as we are great at beating bad and mediocre teams. We're 26-1 against teams with a losing record under Smith, (5-5 against 8 win teams) and most of the West Coast teams have been bad since 2008. So its hardly a surprise when we beat them. 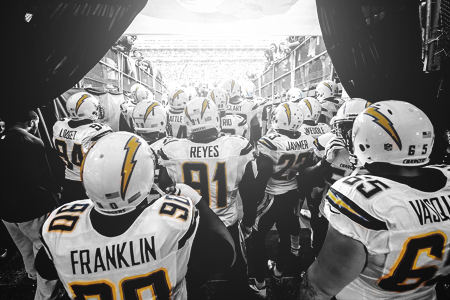 The Chargers actually look like a semi-decent team this year and so should be a good test. However, they have only done it against two bad teams (OAK and TEN) so it will be good to see them play a good team. When I did my schedule prediction, I had us at 5-1 at the bye with a loss to an AFC team (DEN). Even if we slip up here, as long as we take care of business vs the Panthers and Skins we'll be good to go. Since it appears Ryan Matthews is healthy, how do you think our defense will approach the game? Will we try to play like we did against Denver and try to confuse Rivers or will we go to a slightly normal defense to try to stop Matthews? Thanks ma dude! Don't worry I know I am supposed to work on your project. I want a few weeks of College ball to pass by so I can hopefully get some pictures or both players. I am pretty worried about this game. I really respect the Chargers and Rivers. Its going to take a hell of a game from our offense, and our rush defense with Matthews back. Wouldnt be surprised if we get the L.
Agreed. We are traveling 2000 miles out west on a short week after a tough opponent. The Chargers boast a top ten defense after the first two games (regardless if it was over inferior competition) and they are getting a boost on offense with Ryan Mathews. I expect us to contain Rivers and the passing attack but you cant always get 3 ints in the first quarter of a game. Our passing offense should be ok even with the chargers having a great D. Sam Baker and Tyson Clabo proved they can handle top competition on the edge and Matt Ryan's quick release should be enough to hold off the pass rush. The X-factor in this game will be Michael Turner and our Rushing offense. Hopefully, the DUI has lit a fire under Turner and he decides to stop being so fat and lazy. If he proves that he is truly finished then I expect Koetter to start rolling out the screen passes to Julio and Rodgers. We may even see more of Snelling and Rodgers with the trouble Turner has gotten into as of late. 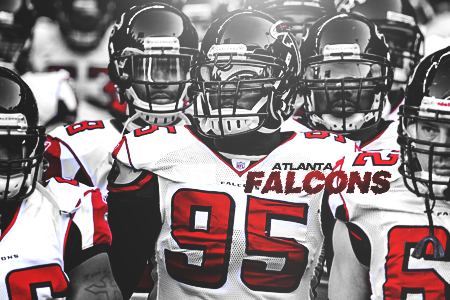 I am incapable of going against my Falcons so Im going to predict a very optimistic 31-28 result. Its going to be a hard fought win but if we come out fast and play hard the first half I can see us taking the W.
Hi Falcon fans, you guys have a top 5 team right now. No doubt its going to be the hardest game both teams will have played thus far. Without going in depth, even Charger fans would have to admit the Falcons have the more balanced team when you take passing, running, run defense, pass defense and special teams into account as a whole. SD Offense - Floyd has to continue to win his matchups, when he stretches the field the Chargers are hard to beat. SD Defense - Gotta pressure Ryan early, if he gets their passing game going its pretty much over because I still don't trust our run defense. May it be a good game, and may my team win. Heard this game will be blacked out in San Diego. That blows. Btw love the gifs Jgold. Smith and Owens are out.